Lin is a ninja of the Hizoku clan, a people living in China. There specialty is turning their blood into poison... but this is can also be dangerous for the ninja himself. He just recently learned how to do it himself. He is hunted by his rival Long. He was recruited into Benimaru's and Shingo's team in 2000, but didn't fit in very well. Next year he was with K', Maxima and Whip, and also didn't get along with them. He was recently voted out of '02, so he might not return unless Playmore wants to explore his past. Lin was a good friend with another clansman named Ron. He was in charge of training the nine princes of Xi Du, the sons of Ron. He even trained Ron's daughter, Xiao Lon. He eventually was appointed the Deva of his division. When Ron betrayed and murdered many of the Hizoku, Lin joined forces with the three of the Four Devas, Luan, Chat and Sai. 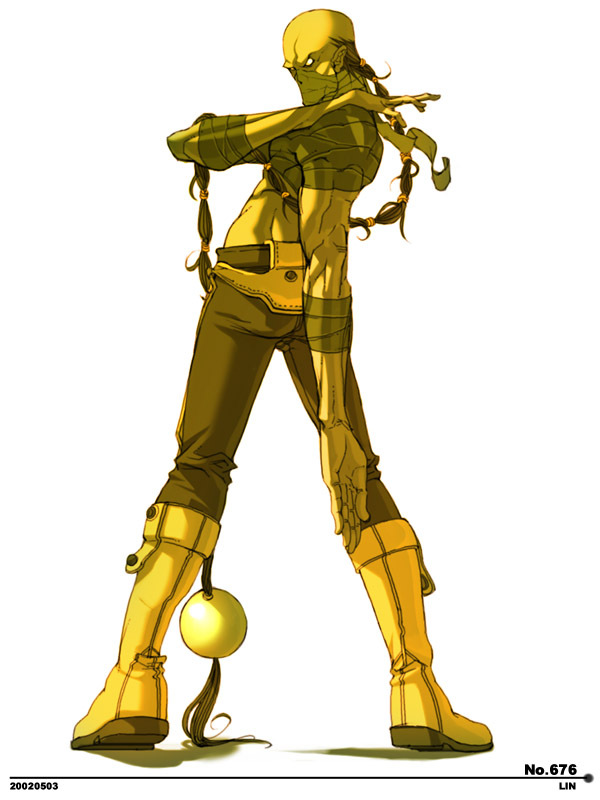 He was enticed by the agent Seth to enter the King of Fighters tournament in order to find their clan's missing leader. After learning that Ron had defected to NESTS, he tracks the activities of NESTS's renegades, K' and company, in hopes of finding his leader. He continues to search for Ron even after NESTS's destruction, presumably meaning to execute him. For an unexplained reason, he appears next to Ron in the Psycho Soldier Team's ending in The King of Fighters XI. 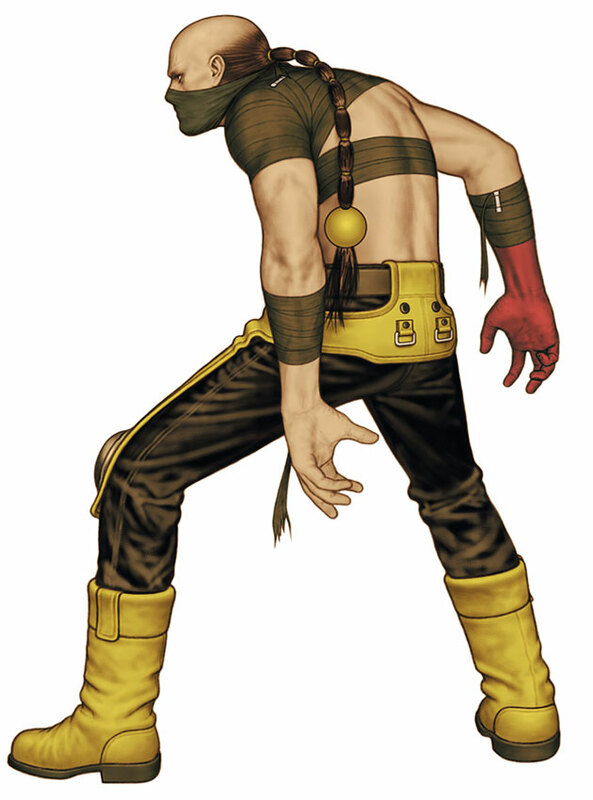 Lin is probably one of the most underrated characters in the KOF series... I even kinda forget about this guy sometimes, since he's only in a small handful of games. What I like about Lin the most is that he offers something very different and unique from the "ninja stereotype". So many ninja designs look the same visually... but Lin is anything but the typical ninja. 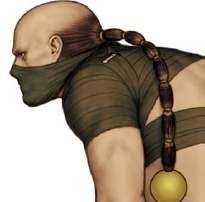 SNK set out to create a ninja who doesn't resemble any others, and they definitely succeeded. 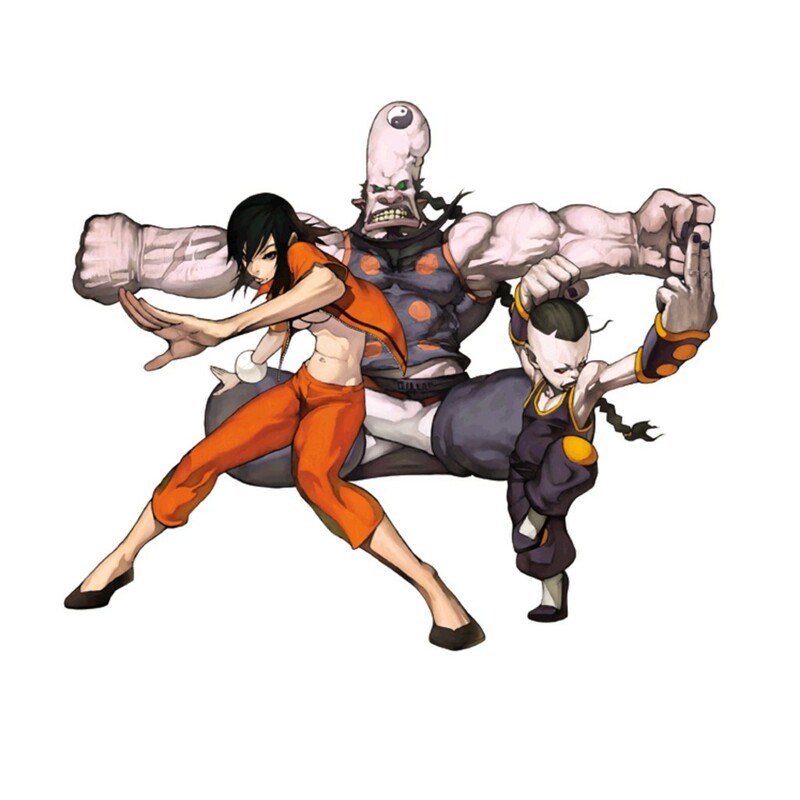 Besides his badass appearance, Lin's fighting style / moveset itself is also very interesting and original. He's got some badass (and nicely animated) priority moves as well as special moves. (If you don't know what I'm talking about, check his animations page below). 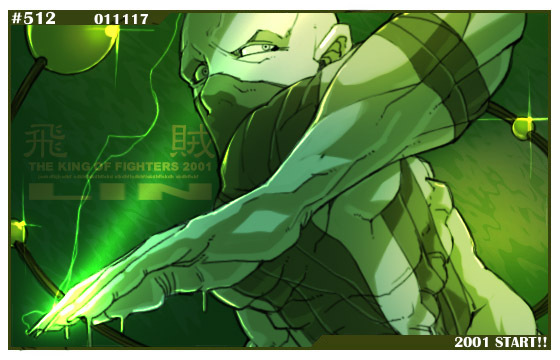 ;) Lin is no doubt another cool KOF character that deserves to make a comeback!